Why are Antioxidants Important for Health? In order to stay healthy, the human body needs to consume the minerals and other necessary compounds from the food on a daily basis. One of these compounds is antioxidants. This compound is vital for a long-term survival and health of a person. Antioxidants are known to help enhance the memory; they also fight different kinds of diseases and slows down the aging process. These are very useful to fight oxidation, which can be escalated by smoking cigarettes or taking the stress. When the natural process of oxidation gets disrupted, harmful molecules called free radicals are formed in the body. Oxygen further accelerates the production of these destructive radicals and if it is not controlled in time, it can cause damage to the body cells. How are Antioxidants Helpful to Release Oxidative? When the formation of free radicals increases beyond the defense mechanism of your body, it leads to oxidative stress. Damage caused by free radicals and oxidative stress can cause heart disease or early-stage cancer. Free radicals can also cause Alzheimer’s disease, age-related blindness, kidney disease, diabetes, cataracts, and arthritis. Antioxidants are very important to fight the free radicals and oxidative stress. A human body produces these molecules to provide protection against these destructive chemicals and keep body cells from any damage. They interact with free radicals and break the chain reaction before it causes any serious harm. Vitamins and minerals, such as manganese, selenium, vitamin C, and vitamin E are the antioxidants that protect the body from toxins and harmful free radicals. In fact, there are some plant compounds that have antioxidant properties, such as shilajit. Shilajit is a dark brown resin that is found in the mountainous ranges of Chile, Afghanistan, Tibet, Nepal, Russia, India, Pakistan and the former USSR. It exudes from beneath the rocks due to high temperature during summers. It is produced as a result of decomposition of plant organisms and contains 85 minerals and compounds. 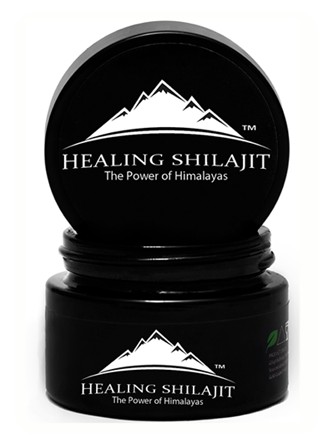 Shilajit mainly consists of humic substances, including fulvic acid, humins, and humic acid. About 60 to 80 percent of the components in shilajit is fulvic acid. 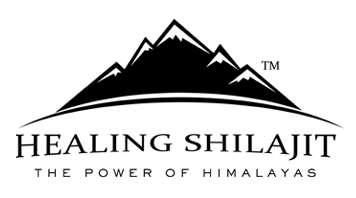 Humic substances are formed as a result of decomposition of organic matter under heavy pressure and extreme weather conditions of the mountains. It mainly consists of selenium, dibenzo-alpha-pyrones, and humic substances. Selenium is a very powerful mineral that slows down the aging process. Fulvic acid is known for its antioxidant properties, which helps in treating a lot of diseases. For example, it doesn’t let tau protein to deposit in your brain. Although, tau protein is a necessary part of the nervous system, its accumulation can cause damage to the brain cells. Fulvic acid helps regulate the nervous system by preventing the accumulation of tau protein. This compound is also very effective in preventing or slowing down the Alzheimer’s diseases from progressing. Traditionally, shilajit was used as an internal antiseptic, hemorrhoids, edema, kidney stones, anemia, chronic bronchitis, nervous disorders, epilepsy, enlarged spleen, digestive disorder, jaundice, and genitourinary disorders. The effectiveness and usefulness of shilajit have been confirmed by modern science as well. All in all, it is a great natural substance that is rich in antioxidants and anti-inflammatory molecules that are beneficial for a human body.